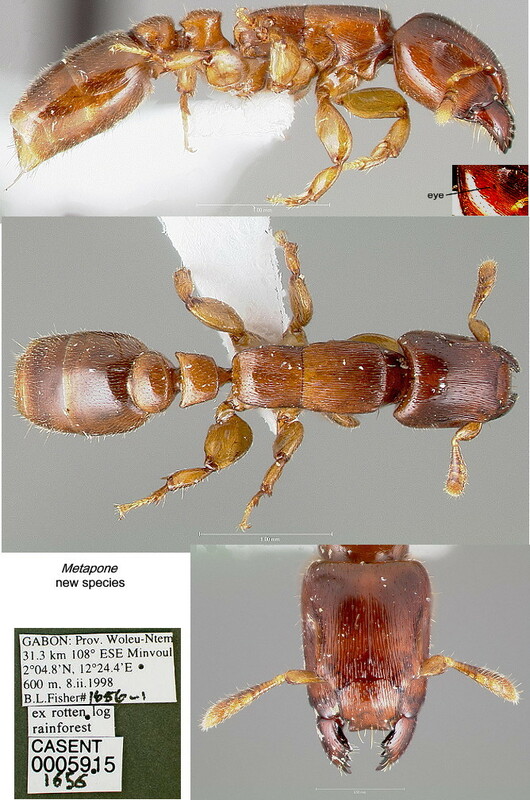 The first record of an African member of this bizarre genus. 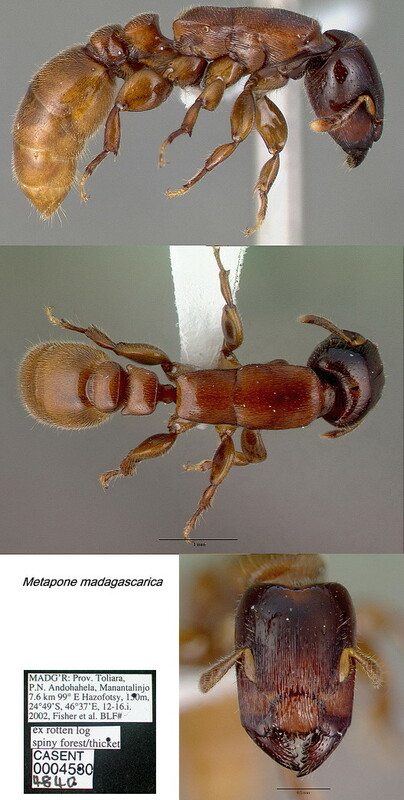 It shares characters with both the known Madagascar species but differs in several ways from both of those. 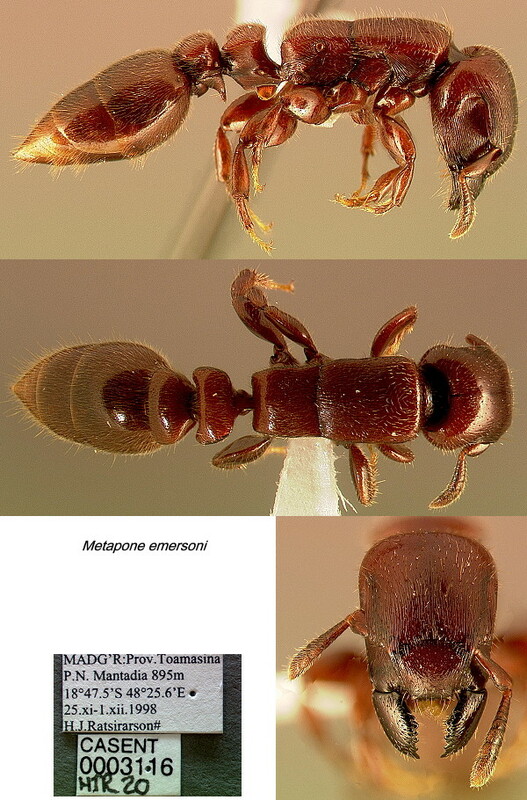 Type location Madagascar (Gregg, 1958: 115, illustrated,worker). Gregg's (1958) description is at . Type location Madagascar (Gregg, 1958: 111, illustrated,worker).